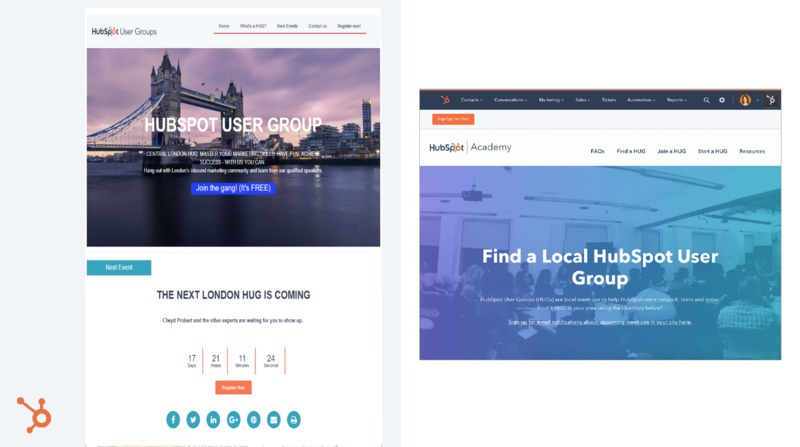 This article is a summary of the presentation talk by Juliana Nicholson from HubSpot at the HubSpot User Group Meeting in June 2018. The full transcript of the talk and the video presentation can be seen by following this link. Note: Use this link to download this guide as an eBook to keep and reference. 1. What is a HUG? If you want to know a little bit more about the HUG world (i.e. what it is, who organises it, who can attend and so on), congrats: you are in the right place! “HUG” stands for HubSpot User Group and it’s a quarterly meeting, geared towards professional people who use the HubSpot platform – but it’s open to anyone who whishes to attend. These HUGs are free of charge ‘cause HubSpot aim is helping people getting understand and benefit from the Inbound revolution. So, what were the HUGs created for? The HUGs are a precious resource even because of the high quality of the speakers. Indeed, for the most part, the meet-ups are led by HubSpot brilliant partners, while occasionally some HubSpot expert employees get on a plane, land somewhere and give their valuable contribution to the discussion. Although all of it, it’s better to clear it up: actually, HubSpot doesn’t manage that events in detail, the partners (like Whitehat for Central London) set the agenda and reach out the ideal speakers. HubSpot is like a guardian, who makes sure that the attendees will have the best experience possible. So, HubSpot User Groups started in 2011 circa. They were unofficial meetups and HubSpot itself didn’t know so much about them. Things changed only at the end of 2018 when Juliana Nicholson became the senior Customer Advocacy Manager in HubSpot and wanted the company to support the partners in this adventure. Probably now you are wondering: how many HUGs events are run worldwide? Well, the answer may impress you. There are 130 HUGs right now across the globe run quarterly, there are over 600 events out there each year. 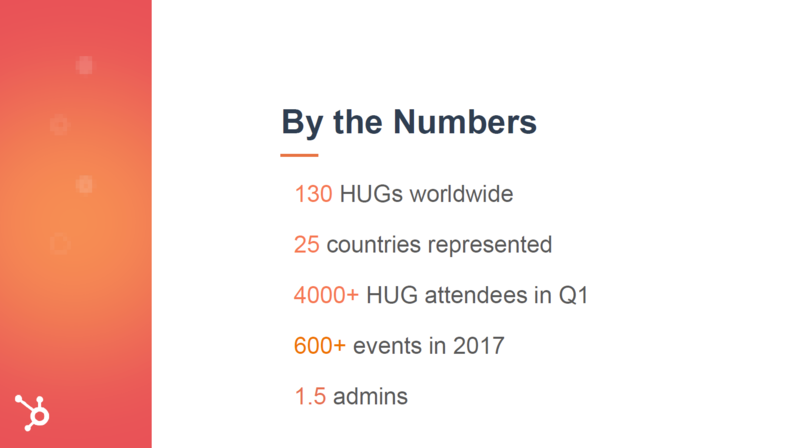 HubSpot represents over 25 countries and tons of cities, from Boston to Bangkok, and in the first quarter of 2018 the HUGs have welcomed over 4,000 participants. We know, it’s a huge stuff. So, how is it all possible? The answer is simple: HubSpot automated software. If you’d like to show up for a HUG event, what is the most important information you need to know? When and where the meeting will be, and what the agenda is. How can HubSpot collect all these details from 130 quarterly events? Obviously through event tracking. We must be honest: the beginning wasn’t so easy because the HubSpot team used just a Google form to collect data from their partners… The Google form said: “If you're hosting a User Group, let us know about it and we'll try and keep a track of it in a spreadsheet somehow”. So what? The result was the chaos. Thing changed when Juliana started thinking that HubSpot CRM would have been a greater way to manage all this. Now the company is able to assist with ease all the local partners they have: the list of HUGs automatically updates, so Juliana and her team don’t need to manually write or edit anything. Each HUG event has different speakers on its agenda: sometimes they are local experts, other times a member of the HubSpot team comes along and shares her/his expertise with the audience. But how does HubSpot send people from their office to 25 different countries? Well, it would have been a straightforward procedure for just 3 or 4 HUGs to organise, but for 130 it sounded like hell. What’s the secret of success? Automation and integration. At the beginning of 2018, Juliana texted all HubSpot employees, asking if they were interested in speaking at a HUG. Then she created a network of people (“Speakers wanted”) who answered positively, using an integration with Slack. 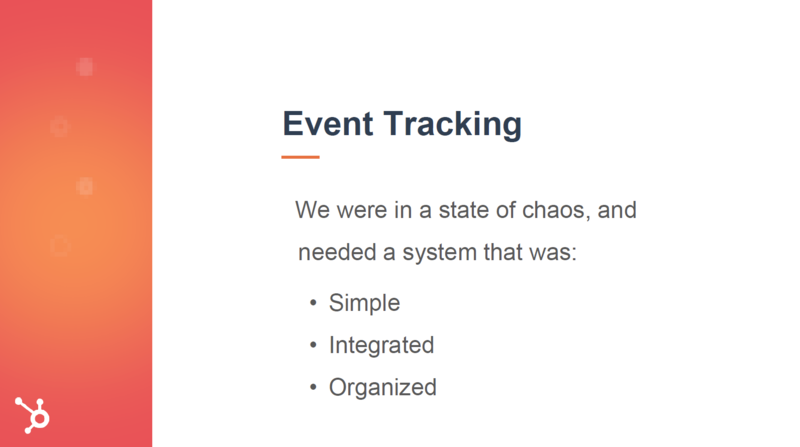 Now, when HubSpot local partners fill out the form on the platform, Juliana sends out notifications to that network, therefore the speakers can “book” the event to attend. Simple, quick, automated, and in real time. Afterwards, Juliana reaches the potential speakers out – the people who said: “I’d like to speak there!” –, giving them all the info about that specific event. Now that the event is set up, there’s another step to take: let people knowing about it. How to do that? 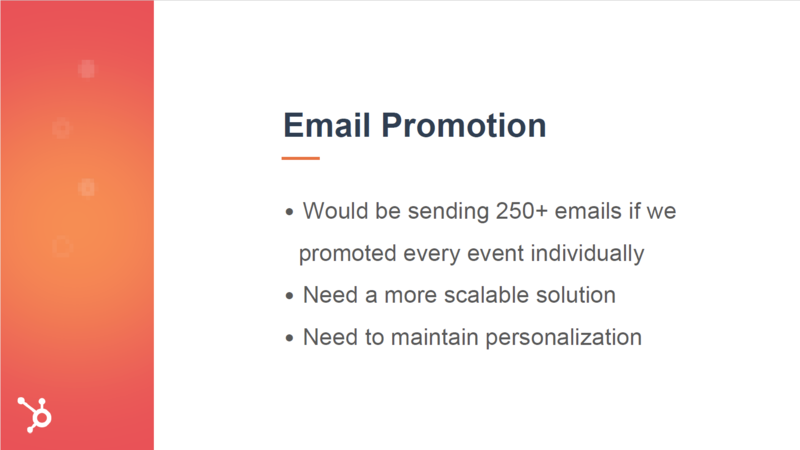 HubSpot needed a more scalable solution to promote these events, being careful of maintaining a pivotal feature of email marketing: personalisation. Indeed, HubSpot first attempt of scaling was a collapse because they lost sight of personalisation. Juliana and her team just sent anybody in their users list a message with a digest about all the upcoming events. The answer to that problem was using smart content. At the present, Juliana manages a list broken down by zip code (because users can go on HubSpot website and ask to be notified whenever a HUG comes to their city). So, thanks to smart content people receive info about the event near to them (not every meeting) automatically: this is personalisation, for people don’t care about the San Diego HUG if they live in London. Now Juliana just builds 3 or 4 emails per month (1 per language) to promote 120-130 events. The second step for promotion is creating a website. 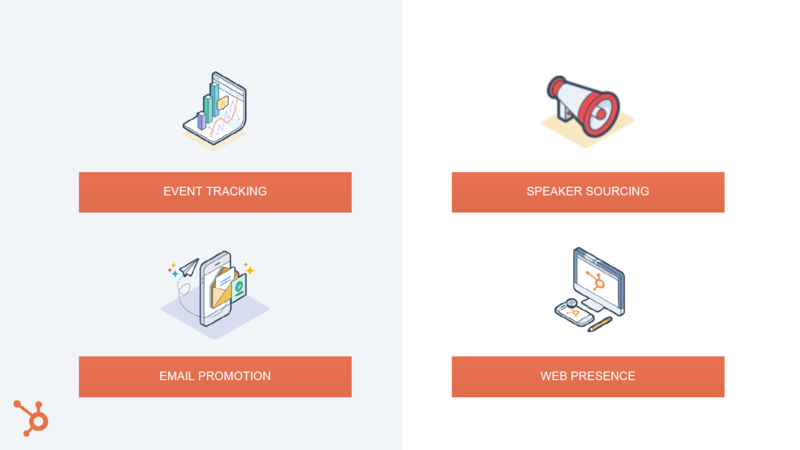 As HubSpot wanted to enclose several events all over the world, they needed a unique platform to contain each portal: all the information within one place. Thinking about how to support the partners’ web presence, the HubSpot team had a still point in mind: they chose to boost them all, as well as give them freedom. The result? A dual solution. They created a network of HUG portals powered by HubSpot, so that their partners don't have to build websites from scratch and spend money to hire a webmaster. It also means that each website has received what Juliana Nicholson calls “HubSpot's SEO juice” – SEO is one of the company strong points: Google loves it! This is the first benefit; the other one is for the attendees because every website contains tons of information about the local event. What is HubDB? It’s a website add-on tool, a relational data store that consists of rows, columns and cells in a table, very similar to a spreadsheet. It allows HubSpot partners to build tables for easy addition and removal of data in their website. In other words: a great help to create event calendars, product catalogues, employee listings, and resource libraries. Using HubDB, the users are free from manually updating the listing on their portal: actually, they just must fill out a form explaining whenever they want their website updated and a HubSpot admin turns that information into a new listing on the directory profile. The bottom line? 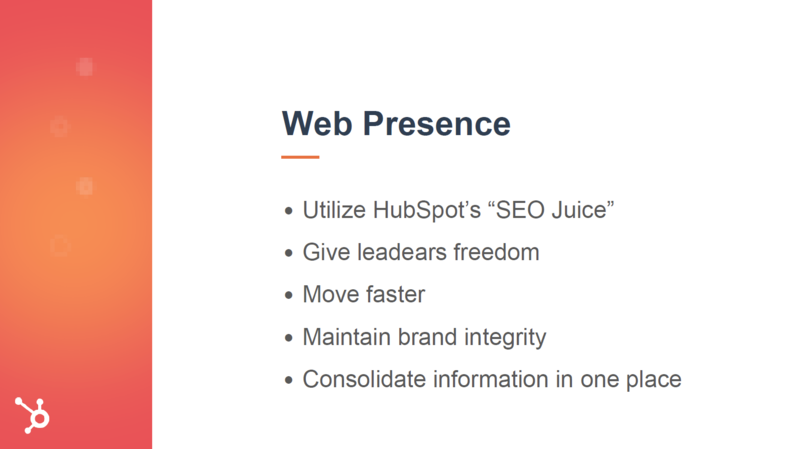 HUG leaders have had back the power to control the information that they see on their website, allowing HubSpot to have a little bit of admin overview. That’s it. The HubSpot software is the quickest and best way for HUG leaders to spread the news about the meetings they organise. 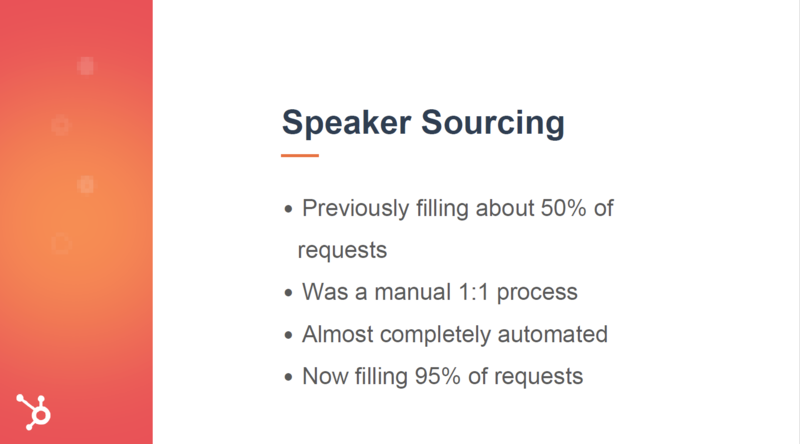 Thanks to a variety of functionalities within HubSpot platform, those leaders got free from wasting money and time in sending tons of emails, entrusting a designer to create a website from scratch, and reaching out to their contacts to find a good speaker. Teaching to people and inspiring them has never been easier. Have you ever attended a HUG? Please, leave a comment below.